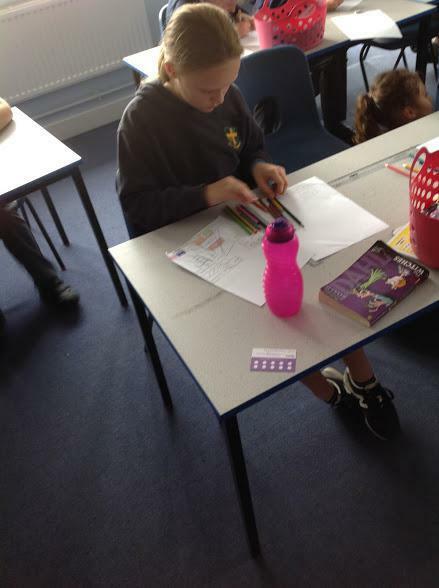 Welcome to Good to be me! 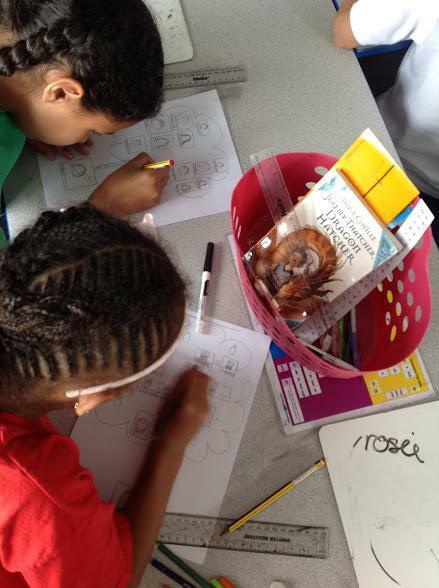 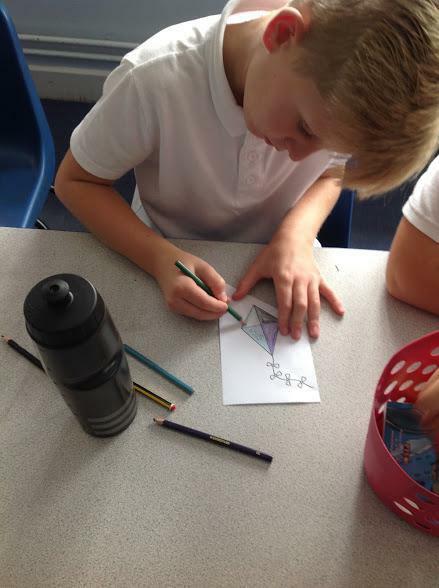 This skill is all about celebrating being different, identifying our own skills and attributes. 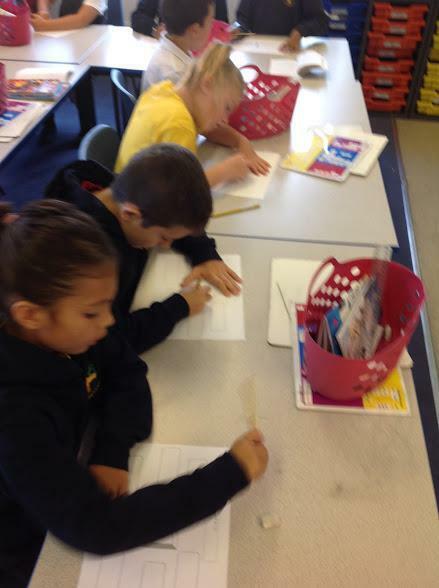 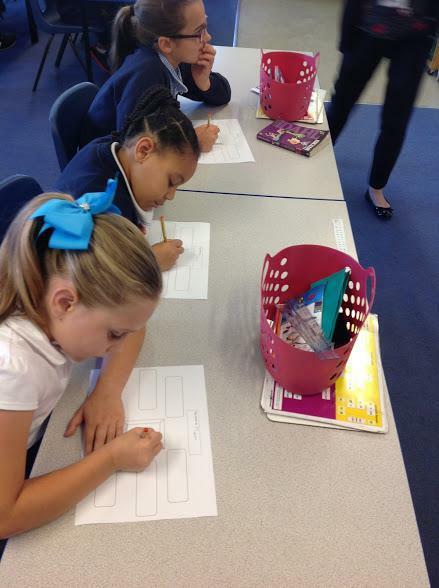 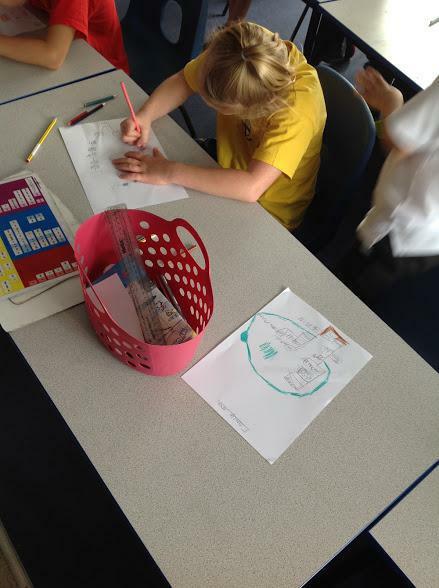 First, we drew pictures of ourselves and wrote 6 things that make us who we are. 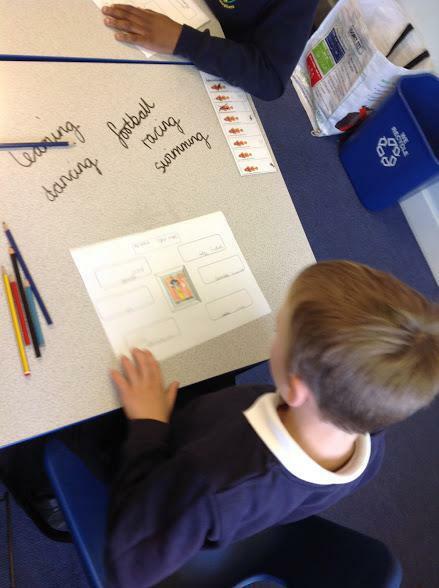 Things such as being helpful, playing football, swimming and gymnastics. 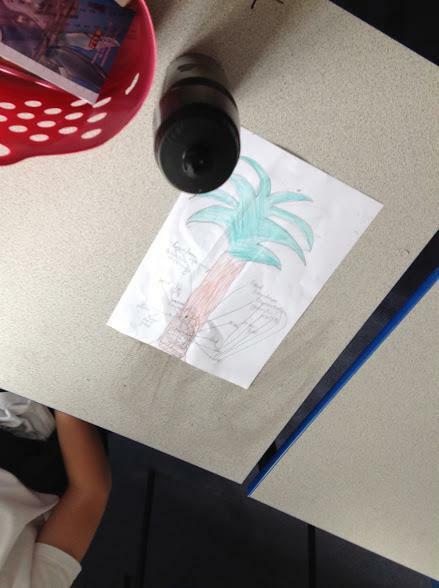 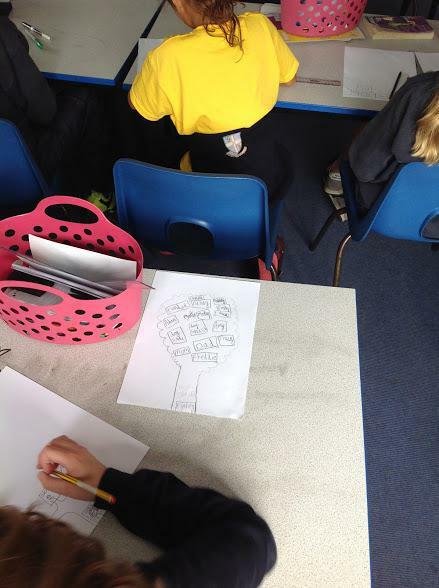 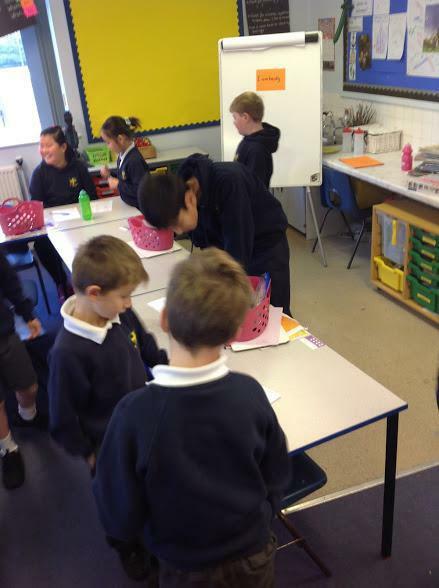 There were so many different things just in the class we were in today! 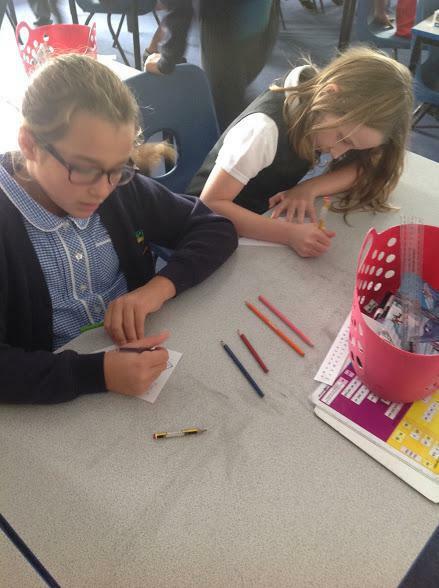 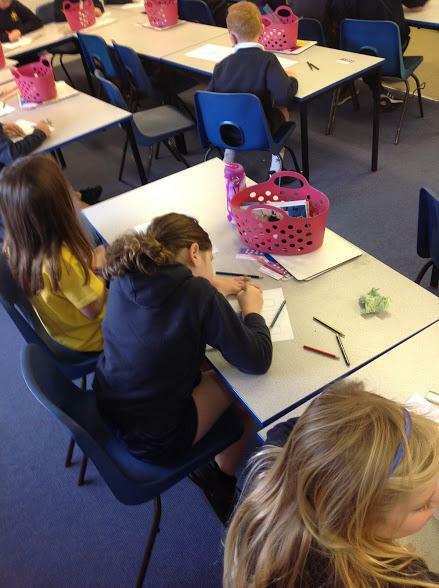 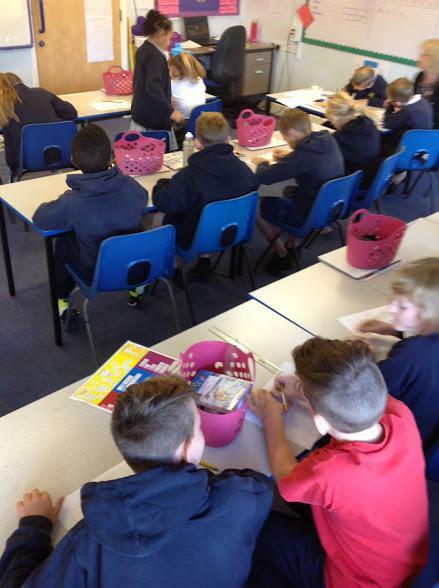 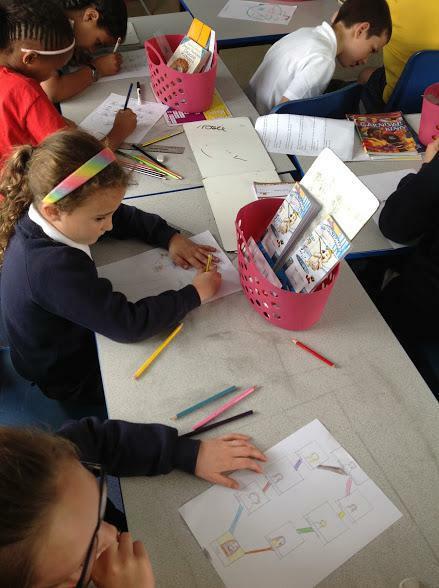 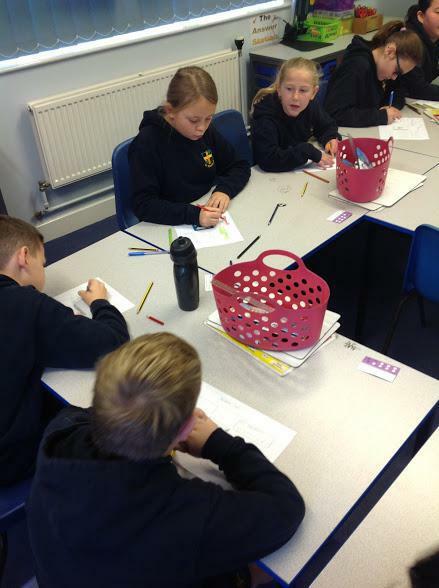 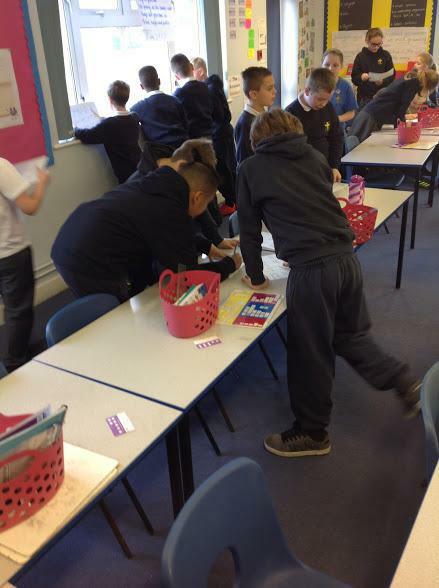 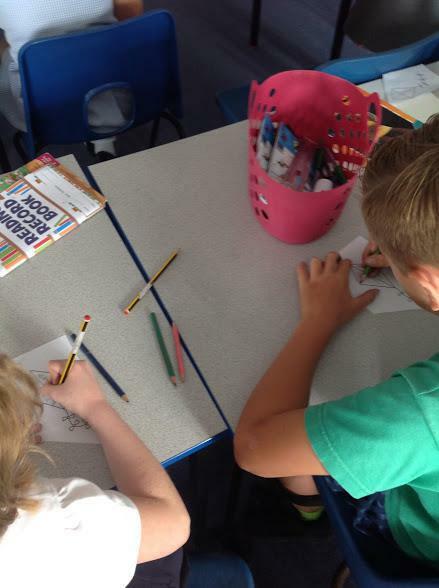 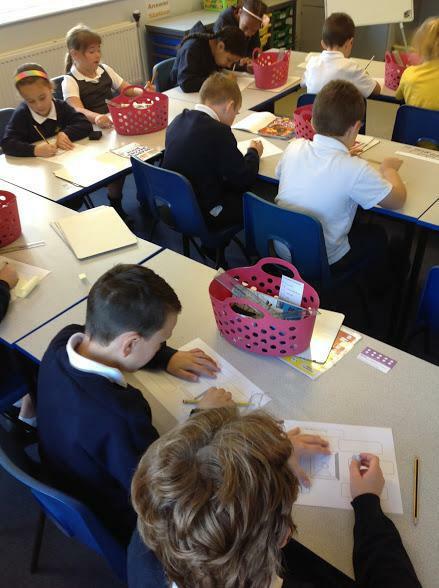 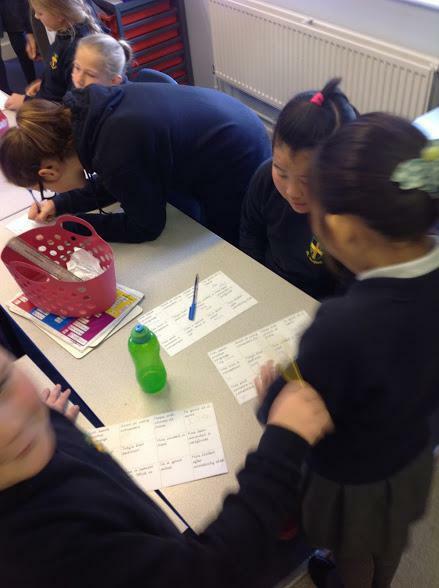 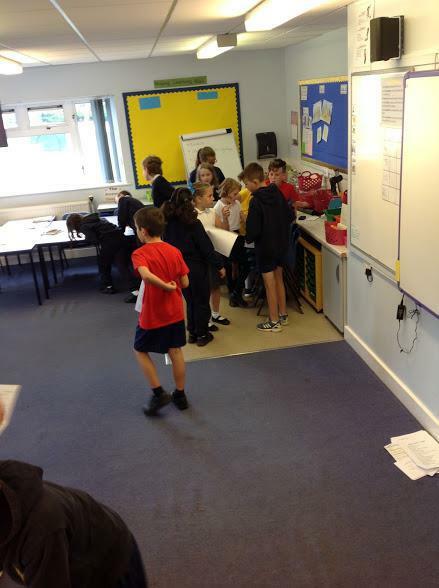 The next activity we took took part in was a Good to be me bingo. 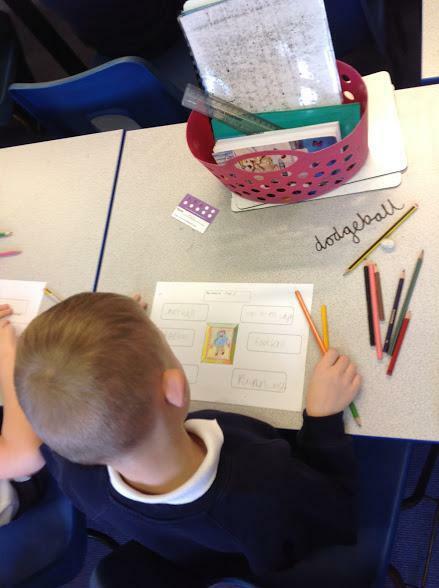 We had to go around the class and fill in the bingo places to get a full house, only thing is, we could only use one person once on the whole sheet. 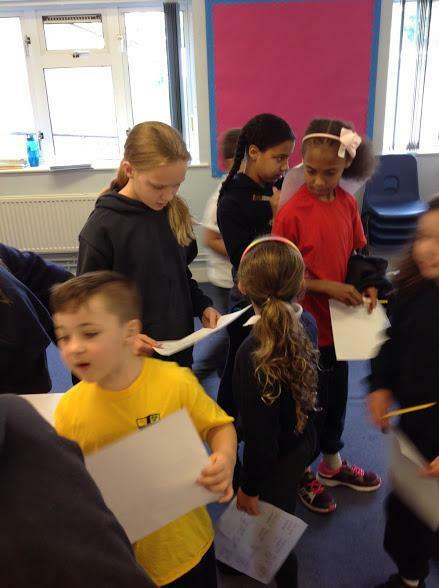 It was interesting to find out how many people had cooked a meal, could speak another language and even who tidied their own bedroom! 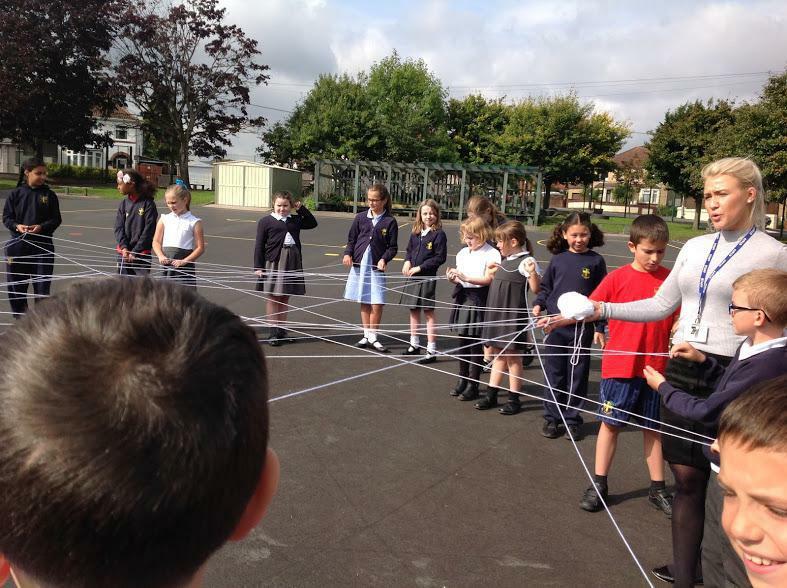 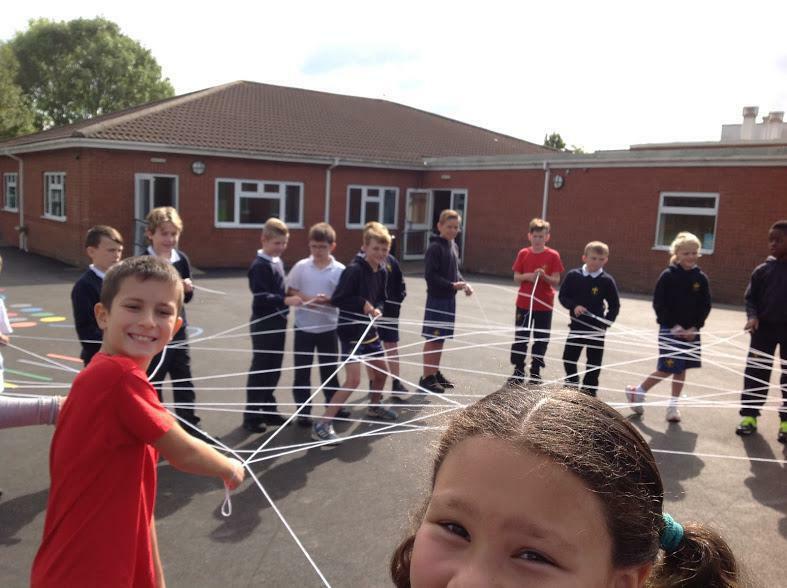 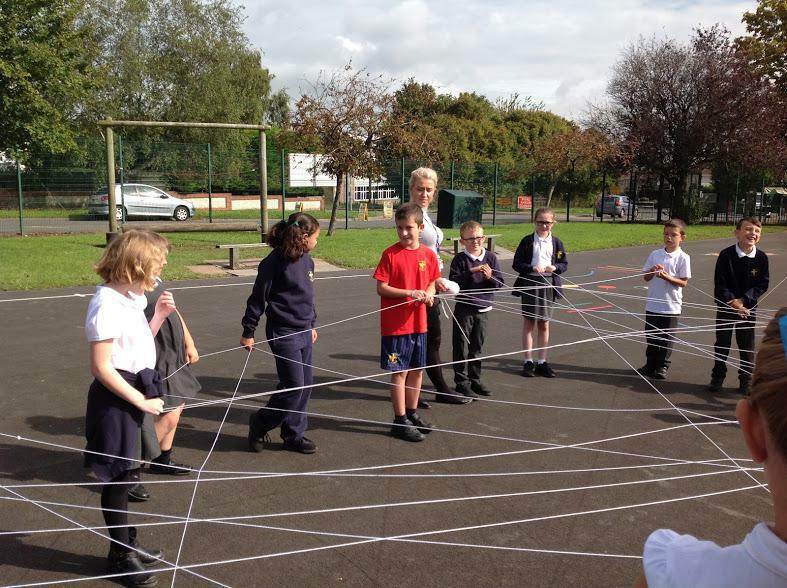 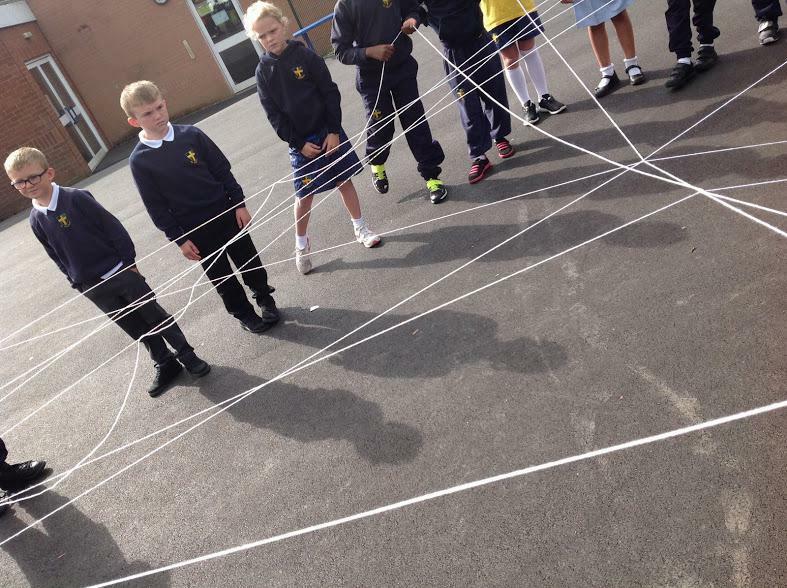 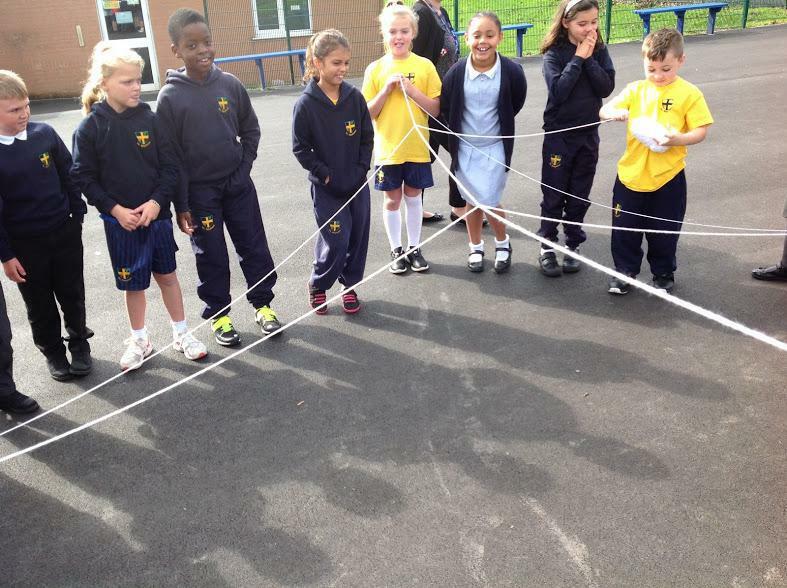 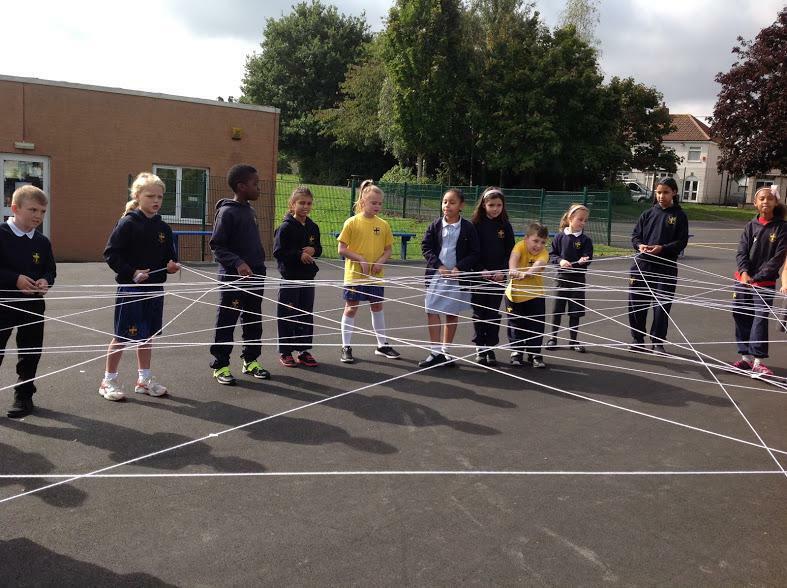 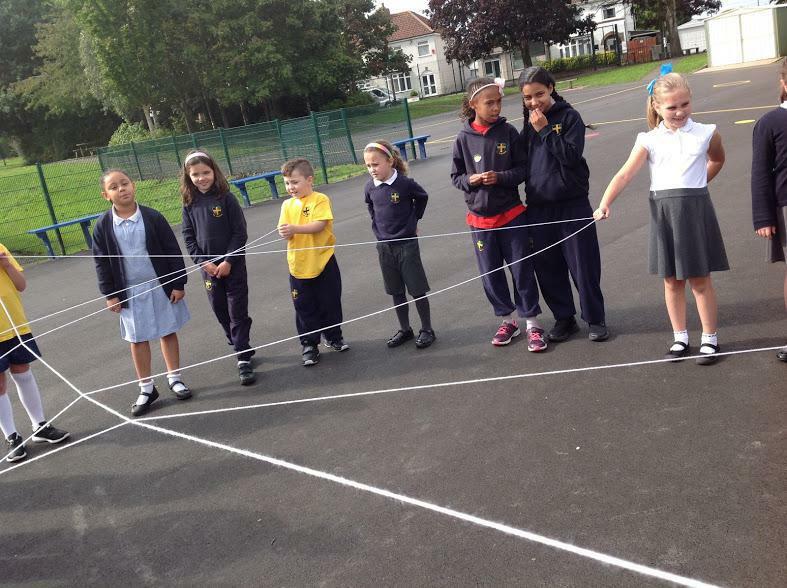 We then went outside and created a connection web. 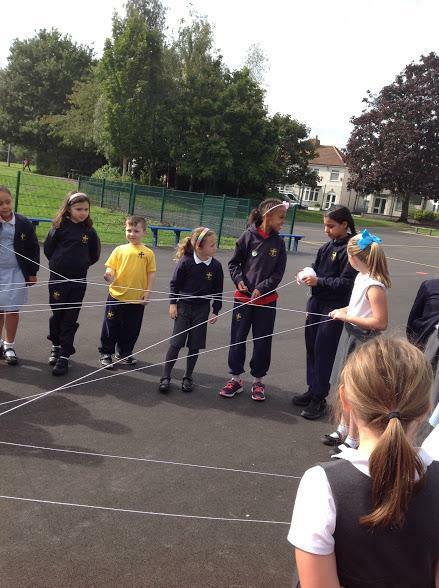 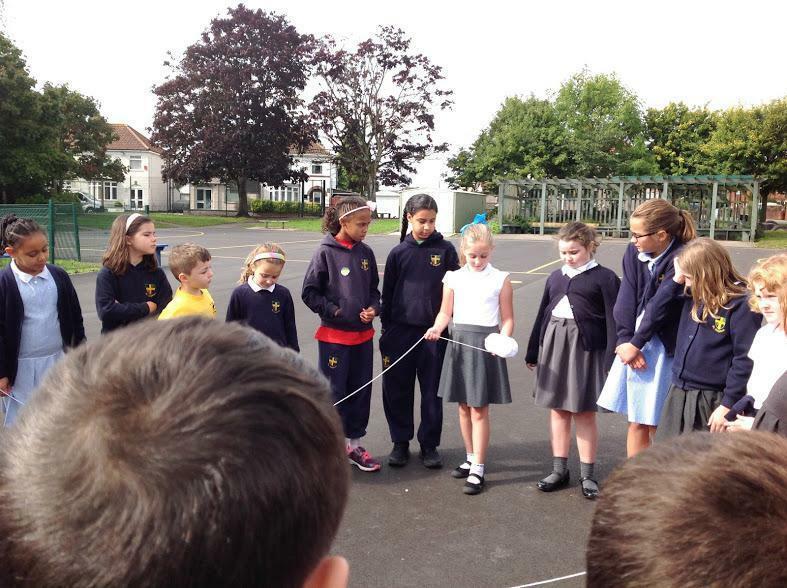 We all stood in a circle and had to throw the ball of string to someone we had something in common was. 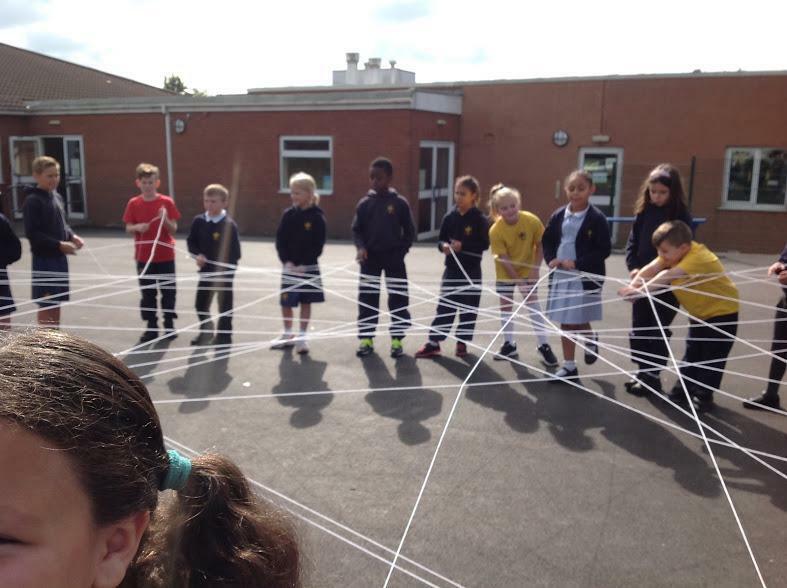 The aim of this was to see how we are all connected in one way or another. 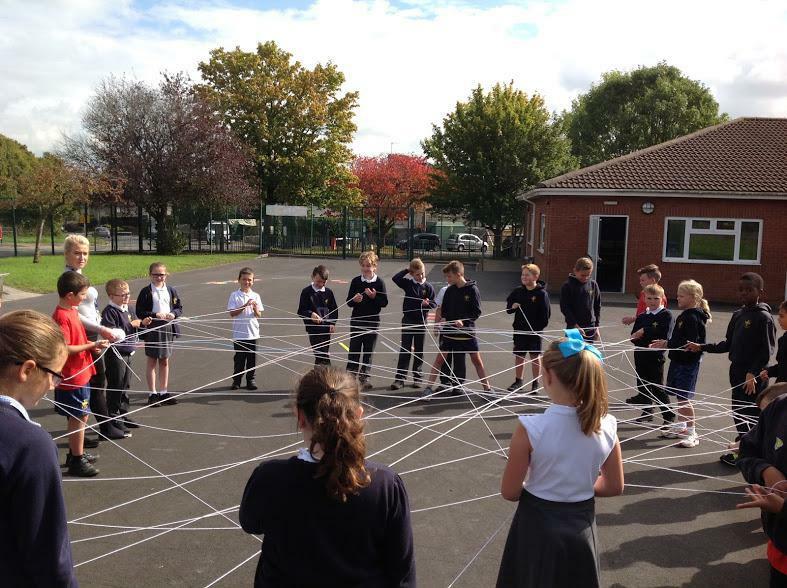 After this, we looked at conflict resolution cards. 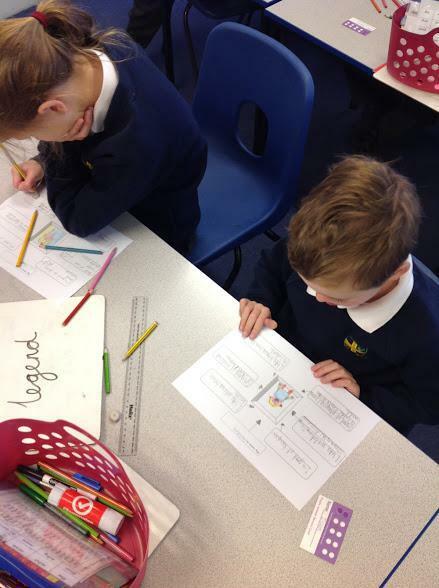 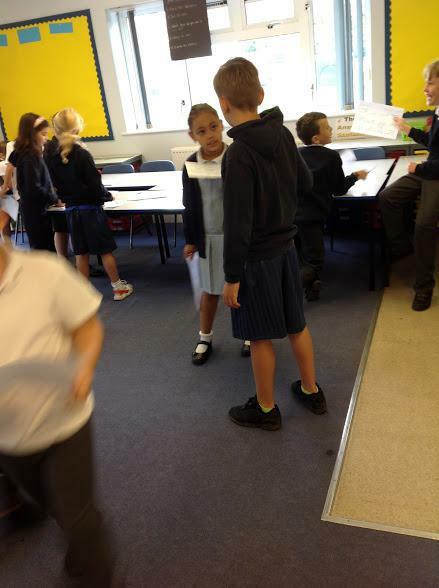 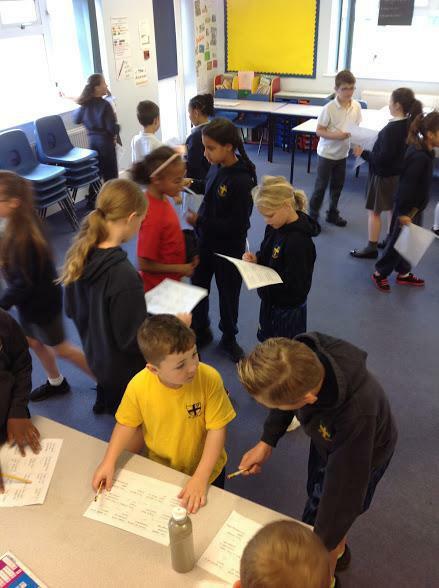 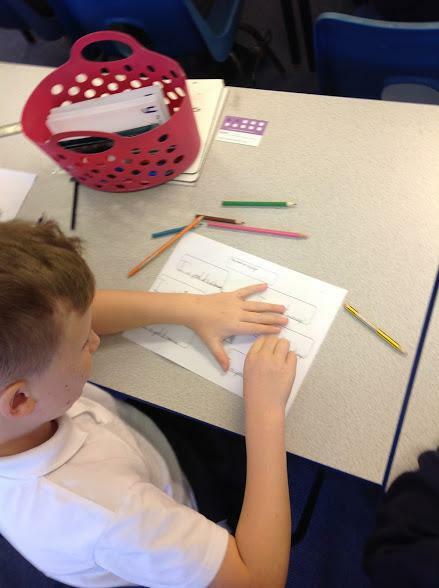 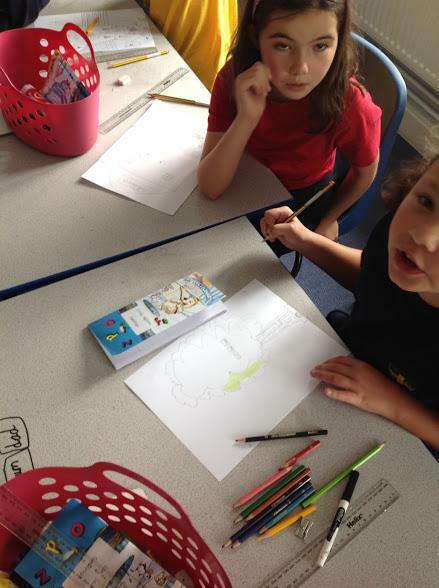 We had to work with our learning partners and decide how we would react to different situations. 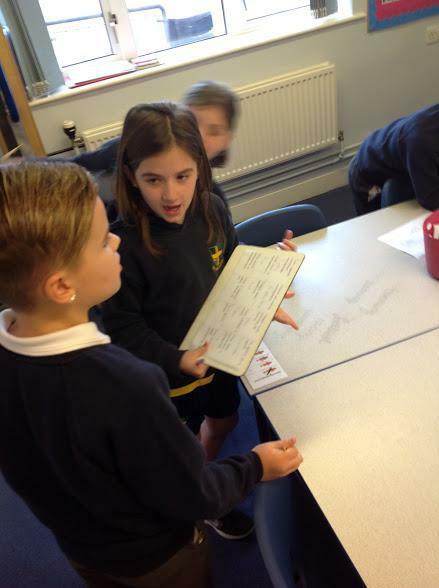 One of the conflict resolutions was "you see someone take something from the teacher's drawer. 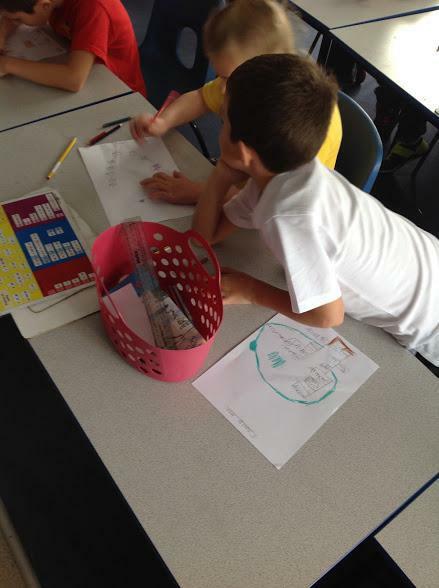 What do you do?" 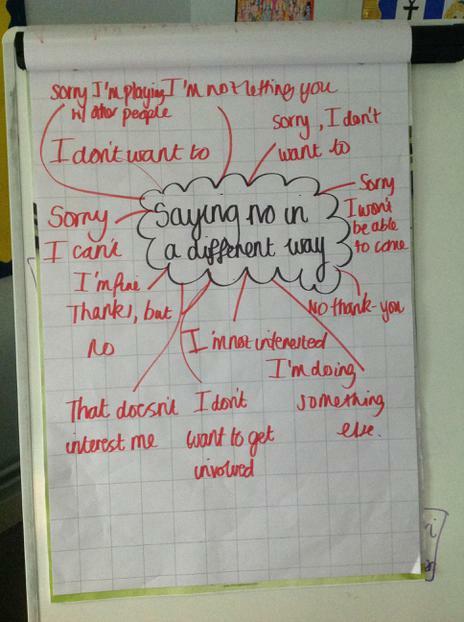 We decided as a class what the best way to deal with a situation like this was. 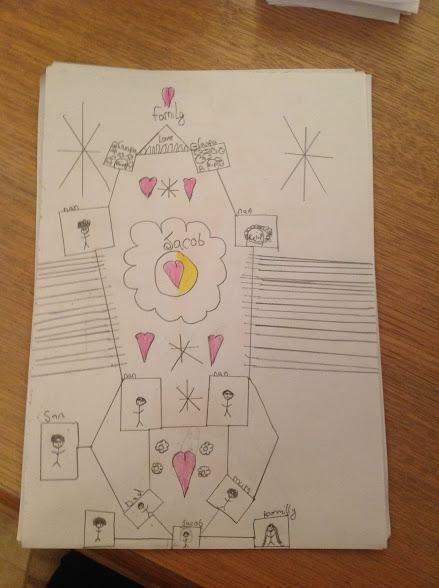 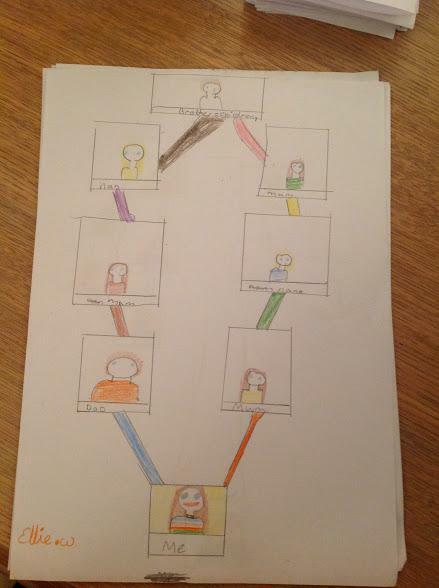 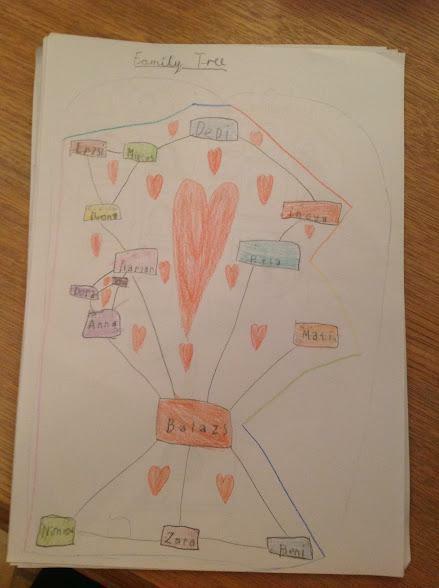 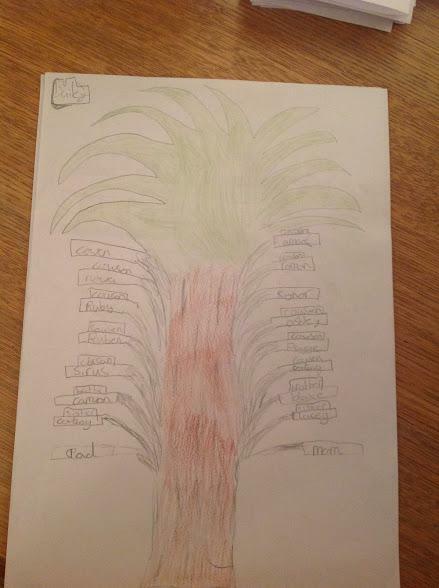 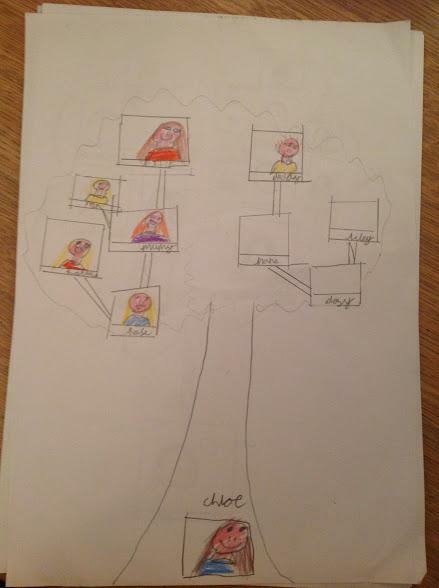 Then we drew our family tree. 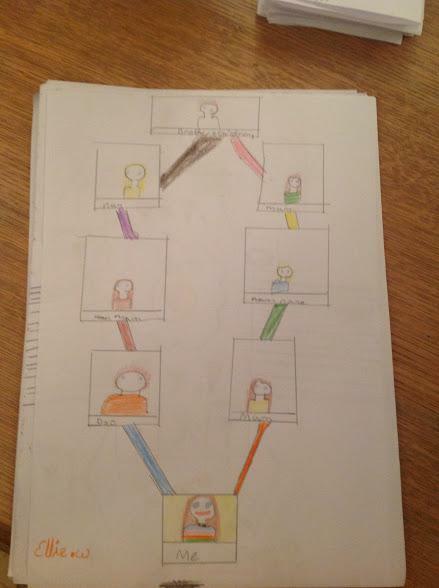 It was amazing to see how big some people's families were! 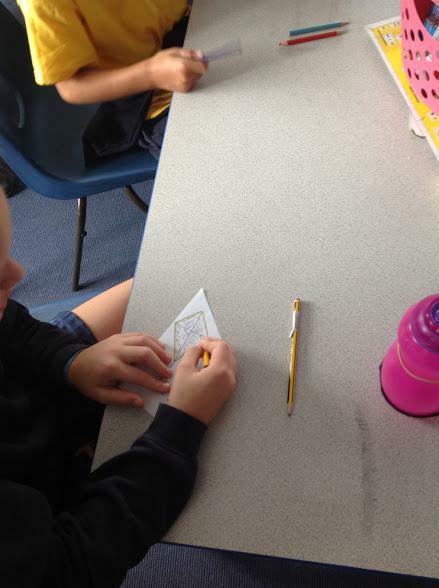 As an end to the day activity, we made compliment kites. 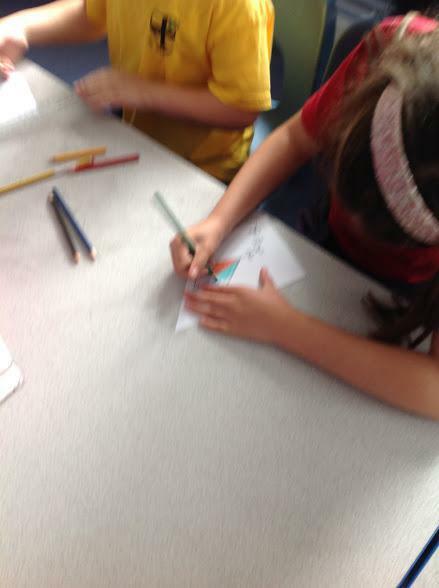 We coloured our kites in and gave someone in that class a compliment. 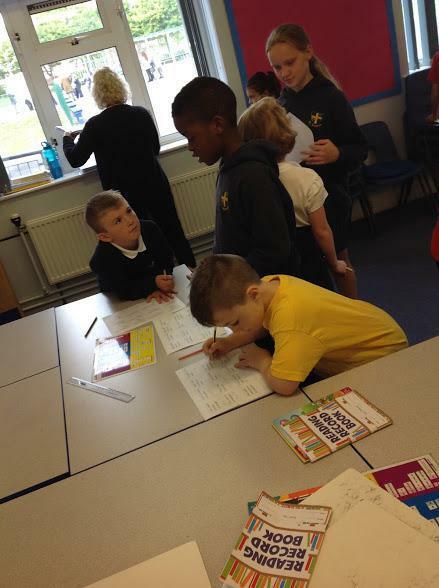 It was nice to see so many people happy and smiling.